Geometric freedom - Bello modular lounge. 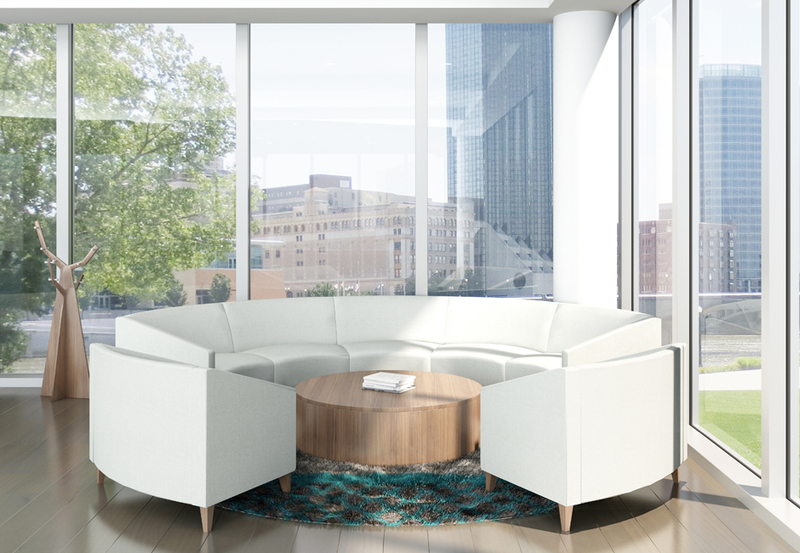 Inspired by the geometric freedom of natural curves, bello unifies contemporary forms to create organic function in open plan lounge environments. 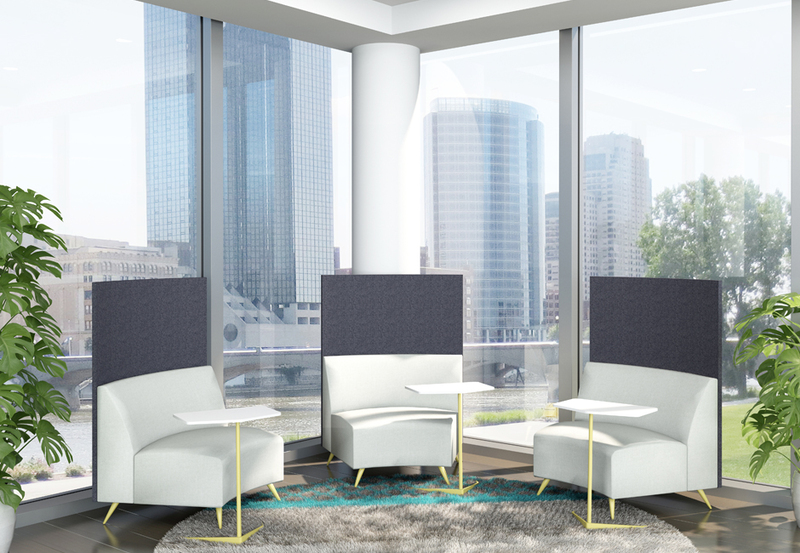 A variety of interchangeable components arrange into striking configurations for corporate, healthcare and educational lounge and collaborative spaces. A sleek European style satin nickel leg and optional tablet attachment complete the bello collection. 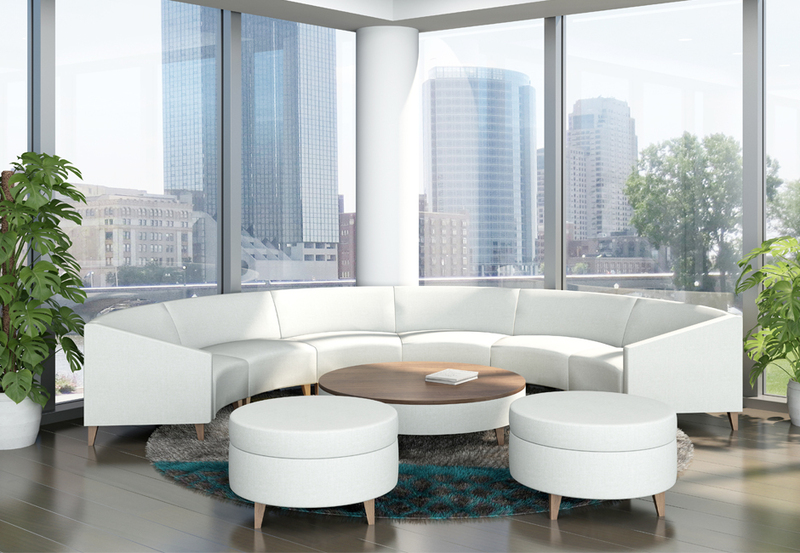 Arm, armless, bench, and table components designed in 30-degree, 45-degree and 90-degree increments satisfy the requirements for versatile space planning. Choose contrasting textiles to add interest and depth. Table tops are available with wood or laminate tops.